(VOVWORLD) - Welcome to the Letter Box, our weekly feature dedicated to our listeners around the world. B: Mr. Schwartz sent us several newspaper items featuring the activities of overseas Vietnamese people in Shallotte and a question about the importance of garment and textile industry in Vietnam. A: Thank you, Mr. Schawartz, for your stories about overseas Vietnamese people’s activities in the US. We’ll confirm your reception reports with QSL cards and hope to receive regular feedback from you again. B: Garment and textile products are among Vietnam’s top hard currency earners. Vietnam’s garment-textile export turnover is expected to hit 18.5 billion USD in the second half of 2018, bringing the year’s export value to 35 billion USD, 1 billion USD more than the target for the year. A: Vietnam’s garment-textile export turnover of 16.5 billion USD in the first half of the year was up more than 16 percent over last year. Strong export growth was reported in most of the traditional markets for Vietnamese textiles, including the US, the EU, the Republic of Korea (RoK), China, ASEAN and members of the Comprehensive and Progressive Agreement for Trans-Pacific Partnership (CPTPP). Items with strong growth in the period were fabrics, T-shirts, jackets and dresses. 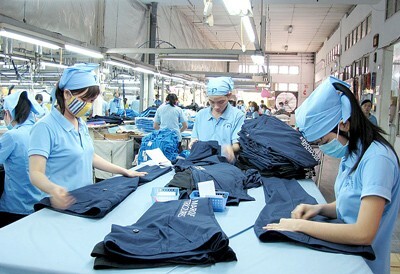 B: Vietnam is among the world’s five biggest garment-textile producers and exporters. Vietnam has opportunities to expand its export markets thanks to new free trade agreements. B: Thank you, Mr. Tinsley, for tuning in to VOV. We’ll send you our frequency list and program schedule. Our program is now available on the web at vovworld.vn where you can hear both live and recorded programs. Check out our VOV Media App available on both the IOS and Android platforms, to hear our live broadcasts. Torrential rains have reportedly hit several Asian countries over the past several days including India and Vietnam. B: Torrential rains have reportedly hit several Asian countries over the past several days including India and Vietnam. 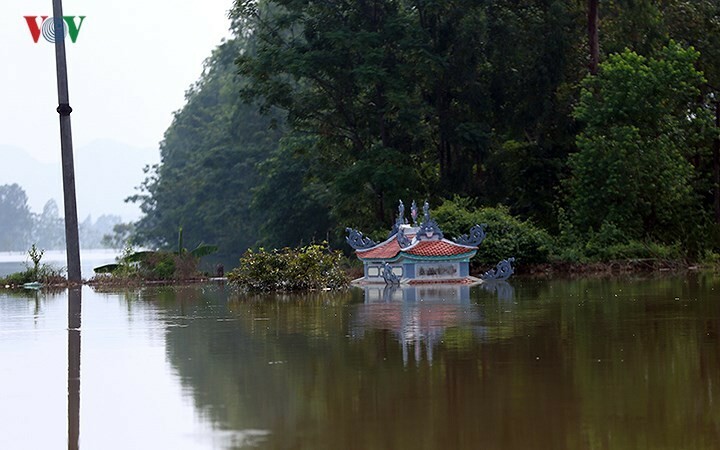 Though the rainy season has just begun in Vietnam, serious damage has been reported. Ministries and sectors are taking measures to reduce the risk of landslides and flooding. A: At least 29 people have been killed and five are missing in northern Vietnam following tropical storm Son Tinh. Son Tinh, the third storm in the East Sea so far this year, devastated provinces from Thai Binh to Quang Binh in mid- July. 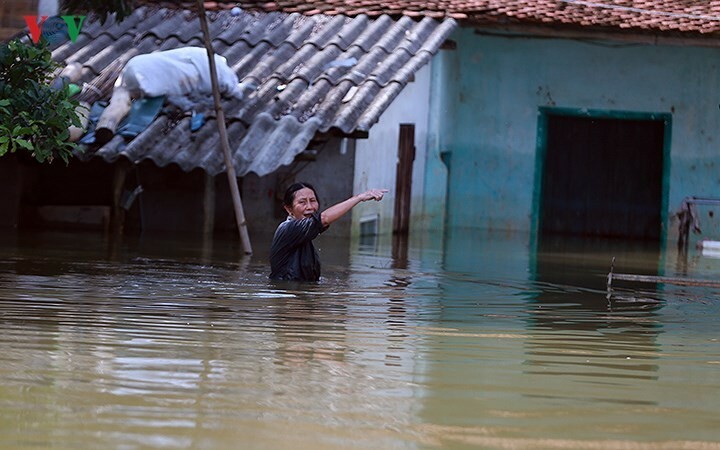 It triggered torrential rains and floods in Thanh Hoa, Nghe An and Ha Tinh province, and the northern mountain provinces of Yen Bai and Hoa Binh. B: Storms have destroyed or flooded more than 12,000 houses, killed or swept away 120,000 head of livestock, and affected more than 6,000 ha of aquaculture. 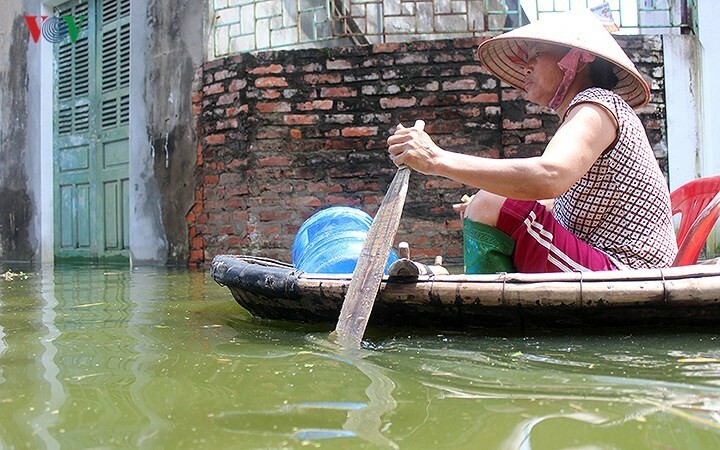 According to the National Hydro-Meteorological Centre, 2018 will experience 12 – 14 storms in the East Sea, of which 4 – 6 will reach Vietnam’s mainland. Typhoons are more likely to hit the northern part of the East Sea at the beginning of the rainy season and will move southward later this year, threatening the central region. A: The National Centre for Hydro-Meteorological Forecasting is keeping a close watch on weather developments to give prompt warnings so that Ministries and localities can ensure the safety of residents at risk. A: Mekong Delta localities in particular are implementing measures to deal with flooding. They are closely monitoring rain, flood, and storm developments in order to promptly evacuate low-lying and riverside areas, and quickly repair damaged sea dykes and coastal erosion. A: Vietnam is one of the five countries hardest hit by natural disasters. Over the past two decades, natural disasters have left over 400 people dead or missing each year, and caused economic losses equal to about 1-1.5 percent of GDP. B: According to the National Centre for Hydro-Meteorological Forecasting, weather patterns and natural disasters in 2018 will continue to be hard to predict. A: Next, we’d like to acknowledge letters and emails from Shyamal Kumar Banerjee, Dilipkumar Sarkar, Siiddhartha Bhattacharjee, Smarita Shukla, Pankhuri Sinha, and Shivendu Paul of India, Richard Nowak of the US, and Didarul Iqbal of Bangladesh. We’ll confirm your reports with QSL cards soon. A: We welcome your feedback at: English Section, VOVWorld, the Voice of Vietnam, 45 Ba Trieu Street, Hanoi, Vietnam. Or you can email us at: englishsection@vov.org.vn. You’re invited to visit us online at vovworld.vn, where you can hear both live and recorded programs. Check out our VOV Media App available on both the IOS and Android platform to hear our live broadcasts. We look forward to your feedback on the mobile version of vovworld.vn. Once again, thank you all for listening. Good bye until next time.